There has been a pub on the site of the Bath Arms Brighton since 1864 and that is not going to change any time soon. This traditional British pub is a popular spot situated in the bustling Lanes area of the city. The ideal place to rest your weary feet with a pint of real ale or glass of wine and watch the world go by. In the summer months, their outdoor seating offers guests the chance to enjoy the historic Lanes from a restful position. In winter the cosy interior and open fire are a welcome sight to those looking to hide from the elements for a little while. The friendly welcome and diverse mix of locals, traders and tourists make the Bath Arms a lively and engaging pub to while away a few hours. The Bath Arms continues the modern trend for pubs that serve a quality food offering within comforting surroundings. Focussing on locally sourced and organic produce the kitchen offer some classic dishes that utilise the best local flavours. 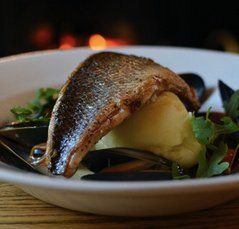 The menu has a heady mix of pub favourites such as fish and chips and burgers, but also features dishes such as duck cassoulet or wild mushroom risotto if you are in the mood for something a little different. The bar is stocked with a variety of cask ales, with Shepherd Neame featuring heavily, plus an extensive wine and spirits selection. 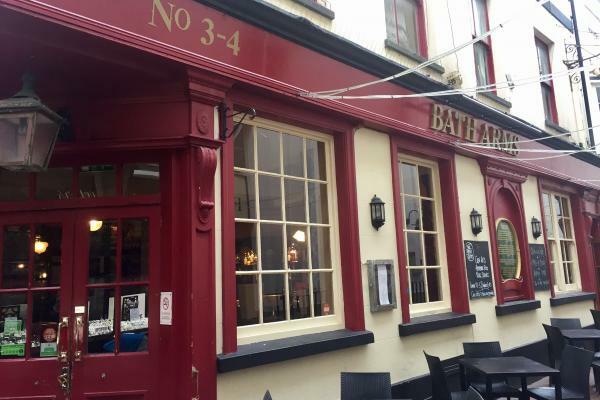 The Bath Arms is the oldest licensed premises situated in the original lanes of Brighton. The building was once two cottages that we merged to form a pub in 1864 called The True Briton Eating and Beer House. In 1868 it was renamed as The Bath Arms and has not changed since then. Down in the cellar there is a bricked up entrance to a series of tunnels and mazes that run underneath the Lanes of Brighton. Always a great choice if you want to meet friends in central Brighton. Great atmosphere and if you fancy a bite to eat they have a number of large tables in their restaurant section/ dining section out back. Good pub food and definitely a good atmosphere. Great selection of wines and friendly folk behind the bar.